TRAIN your staff to facilitate in-house training and professional development for your staff members or network with our all-new Train the Coach model. 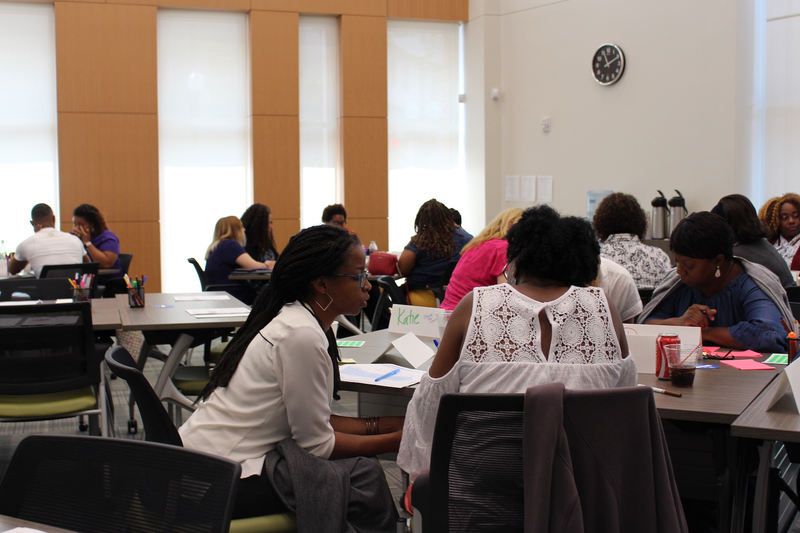 TRAIN is your one stop shop for everything you need to facilitate financial security trainings. 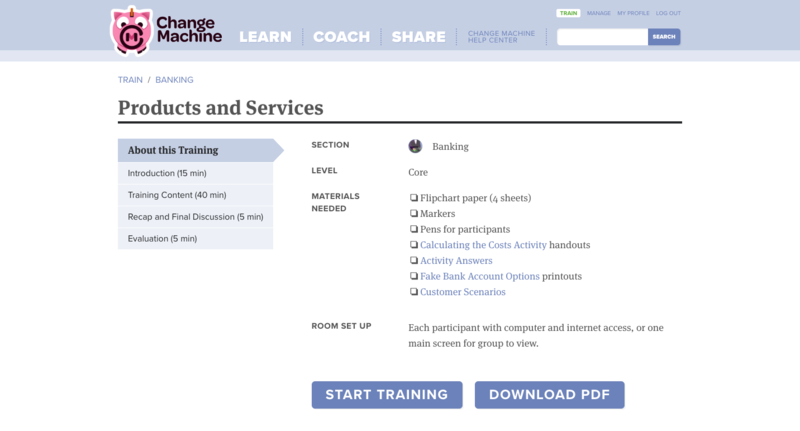 TRAIN joins the Change Machine services suite to support programs to sustainably implement financial security training in their organizations. Using a “Train the Trainer” model, TRAIN is your one stop shop for everything you need to facilitate training with new staff or networks. Want to use your own language or customize the training for your specific sector? No problem! TRAIN can be implemented on a modular (class by class) basis where you tackle one or two classes at a time, or through a full day training that covers all of the core financial security areas. Still not sure if TRAIN is right for you? Take a minute to think about how convenient it would be to have the in-house capacity to train new staff, whenever you need. No paying someone else to come in, no waiting on someone else’s schedule, just unlimited access to all the tools needed to make sure you and your organization are ready to tackle the trials and triumphs of embedding financial security practices. Pretty great right? We think so. Contact our partnerships team to schedule a demo and learn more!